Hello everyone! Its coming up to Christmas which is a time for giving and being with family. Whilst spending money on my family and friend feels great it also feels amazing to donate some money to charities. Knowing that you're making a difference to someone who really needs it is a great feeling. We will all be happy, safe and warm this Christmas which isn't something that everyone else has. 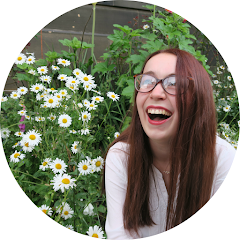 So I've decided to share a few of my favourite charities with you to hopefully inspire some people to give back this Christmas. As someone who runs a book and lifetsyle blog. Its easy to say that book are very close to my heart and were a really big part of my childhood. But not everyone has the opportunities that I had growing up. 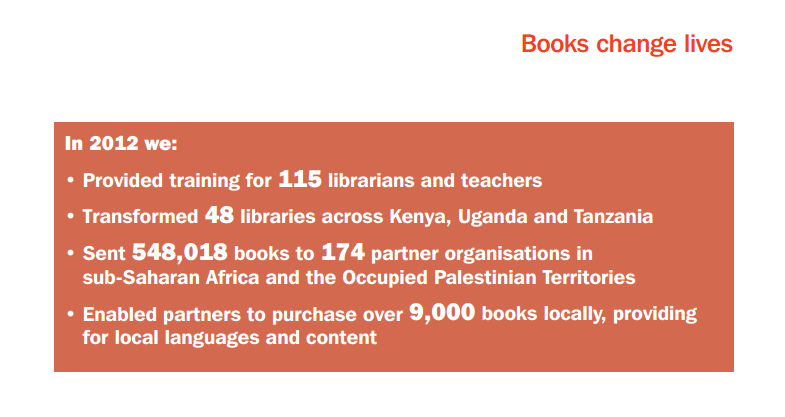 Book Aid International help fund and stock libraries in some of the poorest African counties and the Occupied Palestinian Territories. I buy books without even thinking about it but the reality of it is that libraries are often people's only supply of books. Infact, I even get sent books for free to review on this blog. So this Christmas I'm going to donate some money to Book Aid International in the hope that someday a child reads a book bought with my money. They also accept donations from publishers, in fact, they kind of rely on it. So I think if you're a book blogger, we should email/tweet our contacts in publishing and ask them to donate some books to them. Its the least we could do. Liberty In North Korea are a charity that I only discovered last year but the work that they do is absolutely wonderful but very dangerous. Liberty In North Korea help North Korean refugees escape a brutal regime and reach South Korean soil. Most North Koreans escape into China and then have to have a journey to South Korea. If they are found living in China, the Chinese authorities will send them back to North Korea where they will most likely be put into one of the infamous camps. 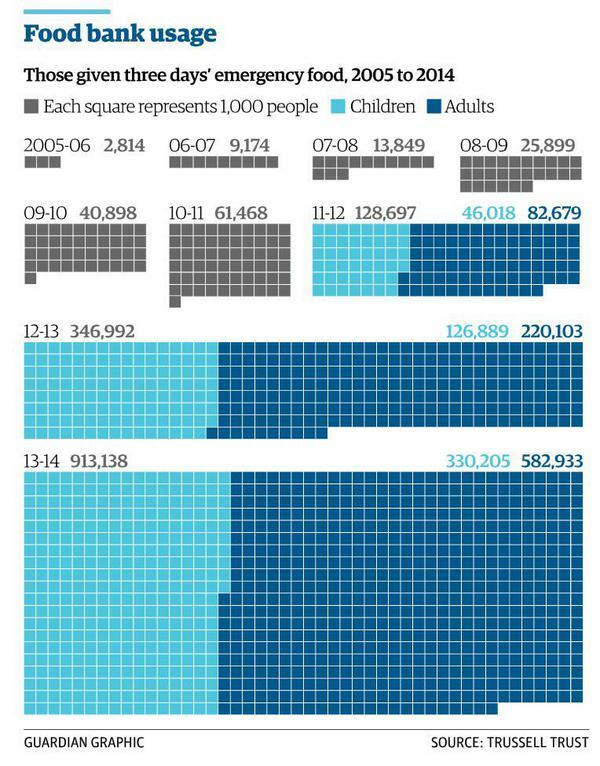 North Koreans are essentially not 'safe' until they are in South Korea. 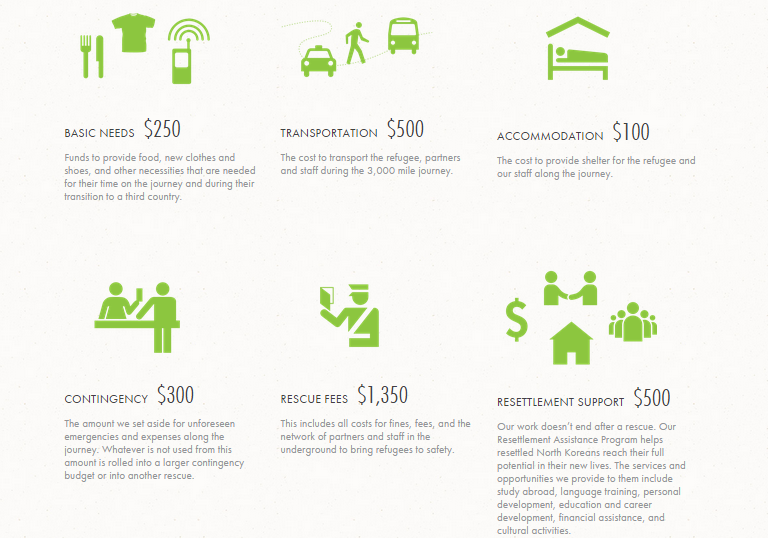 It costs approximately $3000 to save each refugee. This seems like a lot but if each of my BlogLovin' followers donated $10, we could save 6 refugees. 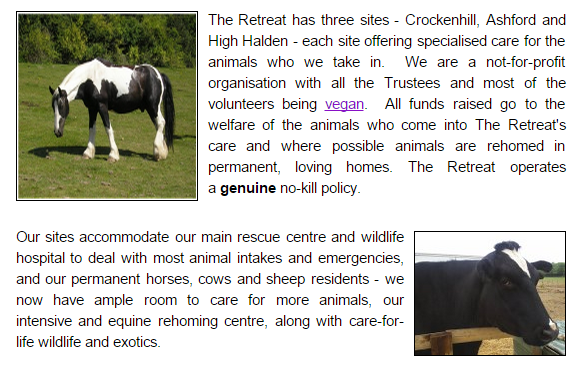 If you're struggling to find a present for an animal lover in your life, why not make a donation to The Retreat Animal Rescue? They're a UK based animal rescue charity with 3 branches. And they operate a no kill policy. They also have a program where they take in feral cats, neuter them and where they can, return them to where they came from. They house loads of different types of animals: from horses, to ferrets. If making a donation is not your thing then maybe buy them something from their Amazon Wishlist? They especially need a lot of horsey things so if you know anyone that loves horses(AKA my sister) I'm sure they would appreciate if you bought them some horsey supplies on their behalf instead of a gift. The next time you go shopping could you spare some dried goods? Most large supermarket's have donation boxes/trolleys at the tills where you can donate foods to the local foodbank. They rely heavily on donations of dried foods with long shelf lives. Next time you're food shopping, add a few extra bags/packets into your trolley and give them a little donation. More and more people are turning to foodbanks in the UK which is so shocking. A bag of pasta/rice could really make a difference for someone. Or if like me, you'r a student and you're heading home for Christmas. You probably have some food in your fridge/cupboards that will go off whilst you're gone. Maybe put all that food in a bag and give it to a homeless person on your way to the airport/bus station/train station etc. I bet it would make their day! What are your favourite charities to give to at Christmas? Help spread the Christmas cheer!